These are books that I feel a sense of ownership over because they are my dear friends. Meaning that if you disagree with me then say so at your own risk – criticizing these babies is like criticizing my babies (I’d listen with car-crash fascination but you may get a punch in the nose). 1)Yep this has number one space because it is My Number One. Jane Eyre by Charlotte Bronte. I read this for the first time when I was about 13 (one summer on the coast on which I now live) and have read again since maybe about 4 times. I have since found that novels written in anything but first person are on the back foot. I love being spoken to directly by a protagonist, especially one as strong and tragic as Jane Eyre. She even says, “Dear reader” at regular intervals, which is maybe why I feel I know her. 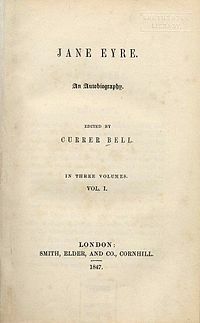 It is fascinating that Charlotte originally published the book as an autobiography of Jane Eyre, edited by Ceurer Bell. Genius. This book has just enough darkness, tragedy, ideology and happy ending for this old romantic. It makes me want to write a novel about Helen Burns, thought to have died from consumption as a child but actually rehabilitated in Northumberland – do you think it would work? Charlotte Bronte was exactly my age – 38 (eeek) – when she died, pregnant with her first child on March 31st, 1855 from severe morning sickness. I was hospitalised with pregnancy nausea, re-hydrated and sent home. If I were CB I’d likely be dead. And not yet published. I wish I could read the novels her later life would have conceived. 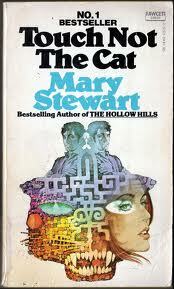 2) Any one of Mary Stewart’s romantic suspense novels, particularly Touch Not the Cat, The Ivy Tree and Wildfire at Midnight. Her locations are exotic, her heroines brave and intelligent and her men slightly weakling (albeit handsome). And the mysteries are gripping. Love these books, jealous of anyone who hasn’t read them yet. They were my favourite escape in the tumultuous late teen years – I dreamed of being a lone traveler on the Isle of Skye or watching some mysterious stranger from behind a head scarf in Damascus instead of reading text books and zapping pimples. 3) To go back even further, The Children of Green Knowe by Lucy M Boston had me utterly captivated as a child. It was slightly frightening but mostly enchanting, telling the children of a small boy who befriends the long-dead children of the house where he has come to live. Since then I have wanted to see a ghost – maybe even befriend one, and have been compelled by tales of the supernatural. I read it again recently to my children and was still charmed. 4) Nancy Mitford’s Love in A Cold Climate is not so much a wonderful story as a fascinating (tongue in cheek) insight into English aristocracy which actually, when you delve into the life of Nancy herself and her eccentric family, is not that tongue in cheek at all. It’s a perfect comedy of manners that has translated beautifully to screen. It lead to my almost obsession with anything written about the Mitfords – The Mitford Letters edited by Charlotte Mosley is especially wonderful. Not a novel but it might as well be. 6) Emma by Jane Austen. I love all her novels but Emma wins purely for having the most brilliantly drawn protagonist who all at once endears and annoys the bejesus out of everyone. And I’m a sucker for a bit of matchmaking. That and make overs. 7) Having said that, Sense and Sensibility needs a mention among the favorites too, if just for the enigma that is Willoughby, self-sentenced to a life of regret. JA wrote the first draft of this when she was 19. I know, extraordinary. This novel also became one of my all time favourite films, sullied only by Emma Thomson’s (ordinarily brilliant) holier-than-thou portrayal of Elinor. 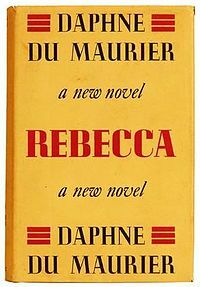 8) Rebecca by Daphne Du Maurier. This has a Gothic kind of Jane Eyre-ishness about it as well as a ghostly element and an unlikely romance. It’s sort of Bronte, Stewart and Boston all rolled into one while at the same time actually being really very trashy but acceptable to read on public transport. Love this book, read it regularly when feeling need for easy escape. 9) I credit The Secret Garden by Frances Hodgson Burnett with sparking my interest in human grief and tragedy (a byproduct of a very happy childhood I think), the Eastern Colonies and walled gardens. I mean it, all 3 of these seemingly random topics intrigue me. I read this one to my twins when they were 5. I even attempted all the accents (badly) – they thought I was hysterical and didn’t grasp much of the story except the mice in the cushion and the dead mother. It was all for me really – I loved it. 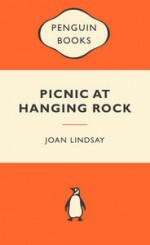 10) Picnic at Hanging Rock by Joan Lindsay has just stayed with me since I read it in my teens mostly because of the way it left me hanging. I love a good vanishing and an ambiguous ending and still wonder about what happened to the girls on occasions. Although it bothered me that a proper grilling of Irma was never really conducted. Give her a few good smacks and surely she’d remember something. When the final chapter was published in the 80’s (after Lindsay had died), I read it hungrily but was disappointed to find it went on with a lot of slightly druggy sounding time warpy stuff including the girls turning into lizards. I prefer my own secret endings (no reflection on Joan’s writing – it is a masterpiece). Room by Emma Donoghue – the child’s point of view somehow made this novel breathtaking. The Secret History by Donna Tartt – love a good campus murder mystery, and this one comes with extraordinary writing. A Twist in the Tale by Roald Dahl – Simply the best short stories ever written. The River Wife by Heather Rose – Beautiful, evocative, poetic, Tasmanian. Cold Comfort Farm by Stella Gibbons – adorable, funny, bucolic England. 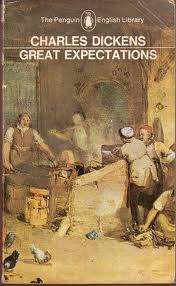 Anything by Maggie Alderson for pure escapism and a bit of a laugh. The Island House by Posie Graeme-Evans for escapism with a history lesson. Sophie’s World by Jostein Gaarder for a comprehensive and compelling philosophy lesson. Enduring Love by Ian McEwan for writing so brilliant it will break your heart. 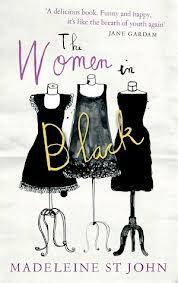 The Women in Black by Madeleine St John – my sister gave me this for my birthday the other day and I LOVED it. Sad to have finished it. Set in my dearest Sydney, wonderful characters, funny, simple. READ IT. OK I’m shutting up now, I have a date with a new novel – Bay of Fires by fellow Tasmanian Poppy Gee. Looking forward to it, hope I can report back positively.